FEATURES Made of high-quality wool, the texture is soft, the hand feels silky and smooth, the color is bright, the surface is smooth, delicate and exquisite. The fluffy air feel of the cutting-edge process is specially treated, it does not have a heavy feeling when worn, and the fabric is thicker and warmer. 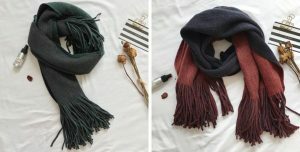 The tassels on both ends of the scarf are designed to be elegant and energetic. 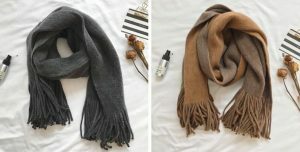 The advanced dyeing technology makes the color of the scarf look more natural, the gloss is better, the fixing ability is strong, and it is not easy to fade. Color-coded design, ingenuity, more fashion and versatile.